Sir Michael Wilshaw has, once again, criticised the professionalism of school governors by asserting that a lack of pay equates to a lack of ability to carry out the role. Whilst not all school governors consistently work effectively for the good of the schools that they serve this should not be used as a stick with which to beat all the hard-working school governors up and down the country. It is also worrying that he is advocating an increased role for so called ‘professionals’ while simultaneously minimising the use of volunteers from the local community. In a climate of shrinking community volunteer places on boards of governors through the Coalition’s Academies and Free Schools programme this plan will simply further remove local and democratic accountability in the primary and secondary education system. There is far more to running a school than looking at figures on a report card; using paid governors who have no wider understanding of the school in question and no long-term interest in or knowledge of the local community is not the way forward. 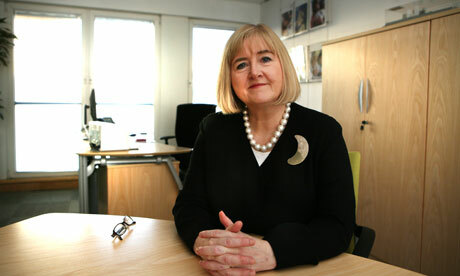 Businesses should order staff to become governors at their local schools, the Ofsted chief inspector has said. 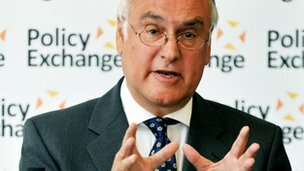 Sir Michael Wilshaw said more professionalism was needed among school governors, and again suggested that some should be paid for their work. His comments came as he announced every primary and secondary school in England would be handed an annual report card detailing their exam results and attendance rates. The one-page overview would be made available to the public so it could be used by parents to compare schools. The move came amid concerns by Ofsted that governors need more information to hold their schools to account. Wilshaw warned some school governors were not up to scratch and would rather spend time “looking at the quality of lunches and not enough on maths and English”. In a speech to the Policy Exchange in central London on Wednesday, he argued there needed to be a “professional approach” among governing bodies, particularly in the most challenging schools. He said: “Of course there will always be a place for the volunteer and those from the community who want to support their local school. That will always be the case. But where there is a lack of capacity and where there are few volunteers without the necessary skills, we need to consider radical solutions. Wilshaw said he wanted to issue a challenge to the public and private sectors to encourage their best people to get involved in school governance. The new report card – the school data dashboard – will give information on how well a school is performing in test and exam results, as well as attendance, compared with other similar schools. 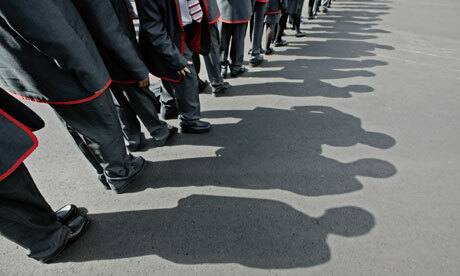 Ofsted said it would publish the documents, updated annually, for more than 20,000 state primary and secondary schools. Wilshaw said governors should have access to the right information to understand and challenge their school, with no excuses for those that fail to do so. The 6,000 schools currently considered less than good by Ofsted usually have issues with their leadership, including governors, Wilshaw said. Brian Lightman, the general secretary of the Association of School and College Leaders (ASCL), said: “It is absolutely right that governors and parents should hold schools to account, and access to data is a part of this. The last Labour government set out proposals for a US-style report card in a white paper published in 2009. Under the plans, every school was to be ranked on a number of measures and given a final overall grade. The proposals were scrapped after the last election. Teachers could have their pay frozen after school inspections under new Ofsted measures aimed at linking salaries with the quality of classroom performance. Announcing the changes, Sir Michael Wilshaw, the chief inspector of schools, said Ofsted will“consider whether there is a correlation between the quality ofteaching and salary progression”. Inspectors will look at anonymised information about the performance management of all teachers in schools they visit to ensure that heads are using pay to raise standards, Ofsted says. But inspectors will not be able to influence the salary of individual teachers. In a speech in February, the chief inspector said heads should only approve salary increases for the most hardworking teachers. “The thing that irritates good teachers, people who work hard and go the extra mile, is seeing the people that don’t do that being rewarded,”Wilshaw said. MPs have recommended that teachers’ pay should be more closely linked to the value they add to pupil performance so that the best are rewarded while the weakest are discouraged from staying in the profession. Christine Blower, general secretary of the National Union of Teachers, criticised the measure, saying it was wrong to pay one teacher more than another for success that was due to the efforts of everyone in the school. In the same announcement, Ofsted dropped plans to inspect schools without notice after protest from heads. From this autumn schools will be given notice the afternoon before inspectors visit. At present, the normal notice period is two days. Heads feared that inspecting schools without notice meant they might be away when inspectors arrived, and that the proposed change indicated a lack of trust in the professions. Russell Hobby, general secretary of the National Association of Head Teachers (NAHT), praised Ofsted for dropping the proposal for no-notice inspection. Wilshaw said the progress made by pupils would be central to inspectors’ judgment. If pupils were making good progress, a school would be able to get a good Ofsted report even if results were below average. Wilshaw confirmed that Ofsted would no longer describe schools as “satisfactory” when they were not providing a good level of education. From September, the “satisfactory” grade will be replaced with “requires improvement” and those schools will be subject to an explicit report of its failings and a full re-inspection within two years. If a school is judged to require improvement at two consecutive inspections, and is still not providing a good education at the third, it is likely to be placed in special measures. Ofsted will expect schools to improve to “good” within four years. He said: “School leaders will be relieved to hear that Ofsted has listened to their concerns. This signals a move towards establishing a more constructive working relationship between the profession and its inspectorate. 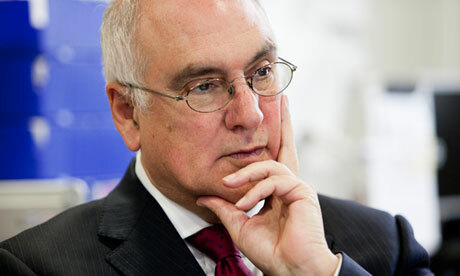 The start of Sir Michael Wilshaw’s tenure as head of Ofsted has been full of controversy. Stories of low morale among school staff and incompetent inspectors have hit the headlines. Because of this, we risk missing the central point: there are still too many children, especially in disadvantaged areas, who are being failed by the system. Wilshaw’s vision is that no child should be denied academic success because of their postcode or family background – and rightly so. For too long, it has been accepted that a school’s outcomes are based largely on its intake. This socio-economic determinism has led to a culture of excuses. Nevertheless, the drive for schools to become“outstanding” as quickly as possible may have side-effects that we should take action to avoid. School leaders have a profound effect on what happens in every classroom and corridor. Over time, schools reflect the attitudes of their leaders. At its best, this leads to a diversity of approaches. Mossbourne community academy in Hackney, Wilshaw’s former posting, has developed a reputation for its structured environment and rigorous attention to uniform and behaviour. Visitors are struck by the silent lesson transitions and the use of a mantra at the start of every lesson, when every child affirms their readiness to learn. The school is perhaps less well known for its commitment to creative teaching and for its use of small, highly inclusive nurture groups to help children with low levels of basic literacy to catch up. Despite the caricature that is presented of a militaristic regime, the students are filled with a sense of joy that is ever-so-slightly unexpected. The best schools are not easy to define – their values and cultures have grown over time. However, increased external pressure is forcing many schools to try to shortcut this process – by simply importing successful practices from outside. Many job adverts for senior posts specify that the applicant “knows what outstanding looks like”. Schools are seeking access, through new appointments, to an outstanding blueprint that they can replicate. Looking for “outstanding” in this way may create short-term benefits, but it also has significant drawbacks. Classroom teachers who are ambitious will be drawn to schools that are judged“outstanding”, giving a wide berth to struggling schools that need them most but are at risk of being seen as career black holes. The process of testing one’s teaching and leadership in a challenging environment and discovering – sometimes painfully –what works is, I believe, much more important than simply experiencing a great exemplar that someone else has created. Ultimately, this tendency to transplant pre-existing practices without their underlying values could lead to a static idea of what an “outstanding” school looks like, endlessly recreated across the system, but without the passion and life-blood that infused the original. There’s an awful lot that can be learned from Wilshaw’s example at Mossbourne academy. But there are many other schools that have taken a different approach that reflects the values and beliefs of their leadership teams and communities. And there are effective ideas and practices that could be taken from all these schools and moulded to fit the context and the culture. I’m not for a second saying that schools should not be held to account or have the highest of expectations. But it is essential that the strategies used to achieve those standards are allowed to develop, based on evidence and on the experience of schools and school leaders finding their own way. “Outstanding” should come in all shapes and sizes, and must not be turned into an off-the-peg standard, like an IKEA bookshelf. In school communities, it’s how you build it that counts. In January this column highlighted the urgency of local governmentredefining its role in light of the government’s school reforms. Over the past two years perceptions of the academy movement have shifted. When, under Labour, about 200 of the poorest performing schools were given academy status, it was seen as freeing them from local government control. Now the number is climbing past 1,600, it looks like a school system that is simultaneously fragmenting and being centralised under the increasingly interventionist education secretary Michael Gove. Whichever one of these contradictory descriptions you think fits, it is clear that accountability to local communities is being rapidly eroded. The debate has been complicated by the proposal from Ofsted chief inspector Michael Wilshaw of a network of local commissioners, separate from local government, to identify poorly performing academies that should be stripped of their status or have their headteacher replaced. Councils still have important statutory education functions on issues such as performance and standards, safeguarding, planning and provision of places and Special Educational Needs, although the boundaries of their responsibilities or their power to act are often unclear. For example, councils have little power to intervene in a failing academy or free school, and while they have the responsibility to ensure there are sufficient places, the current bulge in the number of pupils is exposing severe limitations to their ability to do this. The balancing act for councils is to define a role that respects and promotes schools’ autonomy while acting as the champion of children and parents – unlike the bad old days when a small minority of councils seemed to champion bad teachers and poor schools. Both Solace and the Association of Directors of Children’s Services have recently spoken out in this debate. In Filling the gap: the championing role of English councils in education, Solace calls for the government to work with councils, academy sponsors and others to agree a national protocol for monitoring and intervening in failing schools. These would be backed up by local agreements on cooperation, support and intervention. The emphasis of the proposals is on fostering mutual support between schools, with agreed measures for benchmarking performance and ready access to improvement support. In all this the council’s role would be to give voice to parents and children, particularly the most vulnerable – so there would be a strong focus on safeguarding. From the schools’ point of view, this would balance increased local co-operation with less control by the Department for Education. The mutual support and local monitoring would also act as a welcome antidote to the peculiar terror that seems to seize schools at the mention of Ofsted. A particular appeal of Solace’s approach is that it would strengthen councils’ work on both health and economic growth. The relationship with schools would support the health and wellbeing board and the new public health teams in co-ordinating activity around the pressing priority of teenage sexual health. On the economy, local government can exploit its unique ability to broker relationships with local partners to champion lifelong learning – promoting the opportunities and bringing together employers with education and training providers to meet the needs of the local jobs market and tackle unemployment. In the context of stalled economic growth and the growing scandal around A4e and the government’s welfare-to-work scheme, local government should push hard on this– the Made in Whitehall interventions of the Department for Work and Pensions are failing. The Association of Directors of Children’s Services has been developing similar ideas, describing local government (possibly unwisely) as the “missing link” in school improvement. Education is one of the few policy areas where Labour has had the courage to commit some of its thoughts to paper, inDevolving Power in Education by shadow education secretary Stephen Twigg. He talks of “a strong role for local government” but then describes a “middle tier” without definitively linking the two. Local government should point him in the direction of Solace’s paper, while spelling out to ministers how councils can play a bigger role in education, the economy and health without threatening schools’ autonomy. This is preventing too many able pupils from fulfilling their potential, says chief inspector Sir Michael Wilshaw. And many who get off to a poor start never catch up, he warns. The report also says maths exams have become less demanding and that teaching standards vary unacceptably. In the report: Mathematics Made to Measure, Sir Michael warns that “the extensive use of early GCSE entry puts too much emphasis on attaining a grade C”. This is the benchmark grade used for schools’ headline league table measures. But the quest for this grade “is at the expense of adequate understanding and mastery of mathematics needed to succeed at A level and beyond,” he says. 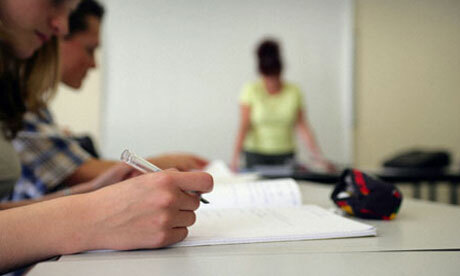 The report claims there has been a vast increase in the number of pupils sitting GCSE early. With early entries rising from 5% in 2007 to 25% of all GCSEs in 2010. And it warns the full extent of early entry to GCSE examinations is under-represented by these figures. Ofsted pledged to challenge such practices where it uncovered them. Schools might use early entry to get some bright pupils’ GCSE exams out of the way, or to give greater focus to pupils they may feel are at risk of drifting out of education or being switched off. The report adds that some schools are even entering pupils into GCSEs by two different exam boards “exploiting the flexibility of exam arrangements” in the hope that they might get a C in one of them. The report says thousands of pupils who had reached Level 5 by the end of primary school – the standard expected of a 13-year-old – still did not go on to gain any better than a grade C at GCSE. But he is also concerned about how well the least able are taught. “Too many pupils who have a poor start or fall behind early in their mathematics education never catch up,” he says. 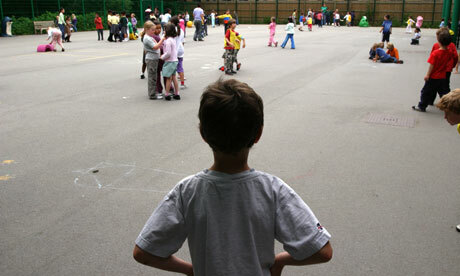 “The 10% who do not reach the expected standard at age seven doubles to 20% by age 11, and nearly doubles again by 16. Inspectors visited 160 primary and 160 secondary schools and observed more than 470 primary and 1,200 secondary mathematics lessons between January 2008 and July 2011. They judged that more than half the schools were outstanding or good in maths. Schools Minister Nick Gibb said given the importance of maths for the economy and for the individual student, he would be asking schools to be even more ambitious when it comes to maths attainment at every stage of a child’s education. “It is vital that we reverse the decline that has seen us fall from 8th to 27th in maths internationally. This is what drives our commitment to reform our curriculum and qualifications to world class standards. Last year, the Advisory Committee on Mathematics Education raised concerns about the number of schools using early and repeated entry to GCSE examinations. “We are delighted that the Ofsted report has indicated that school inspections will challenge these practices,” it said in a statement. But National Union of Teachers general secretary Christine Blower said: “The report stresses the fact that schools need time for long-term improvement in maths to occur, yet many schools feel under pressure to improve grades rapidly. 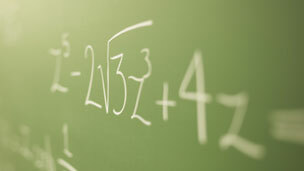 Shadow Education Secretary Stephen Twigg said the report highlighted the variation in maths teaching even within schools. Morale among state school teachers is at “rock bottom”,according to a former chief inspector of schools, who speaks out as unions warn that a “perfect storm” of government meddling threatens an exodus of talent from the profession. Christine Gilbert, who resigned as head of Ofsted last year, said there was evidence of widespread disillusionment in schools despite the level of teacher professionalism being “better than ever”. Her comments come as a survey from the biggest teaching union, the NASUWT, reveals that nearly half of its 230,000 members have considered quitting in the last year, amid a collective crisis of confidence in the profession. More than a third said that they did not believe they were respected as professionals and half said their job satisfaction had declined in the last year. The disturbing figures are published ahead of an attempt by deputy prime minister Nick Clegg to increase levels of social mobility by improving performance in state schools. Clegg will announce on Monday that 2,100 secondary schools will take part in the government plan for summer schools this year. Funded by a £1.25bn “pupil premium”, the schools will give two weeks of intensive support and educational “top-up” to struggling pupils who might otherwise slip behind when they move from primary to secondary school. But there are growing signs that swaths of the teachers who will run such programmes now believe the coalition simply sees the profession as an obstacle to reform. The pressure on teachers includes tougher targets, a new Ofsted grading system that threatens the current rating of most schools, reduced flexibility in qualifications for the teaching of 14- to 16-year-olds, and the possibility of regional and performance-related pay. Many teachers have also complained of dilapidated conditions in the schools they work in, following the scrapping of thousands of school refurbishment projects as a result of spending cuts. The unions and Labour also claimed that a “drip, drip of denigration” from the government and the new head of Ofsted, Sir Michael Wilshaw, who replaced Gilbert, was a primary cause of the problem. Last week Wilshaw hit out at teachers who complained of stress while Michael Gove, the education secretary, said that people who had been privately educated dominated every level of society. Gilbert said she believed that the standards of teaching in the UK were “excellent” and should be celebrated. She said: “[Recent] surveys show terrible morale, so that is at rock bottom, but when I go into schools you do get real commitment, enthusiasm and so on. I certainly think there is more room to celebrate what schools do and the really excellent work going in so many of them nowadays but that doesn’t make quite the same story as some of the other stuff. “Although there might be criticism of teachers nationally, people are really positive about teachers at schools their children go to. When people have a connection they are much more positive. Labour intends to draw lessons from the system in Japan, a country that is regularly among the top world rankings for reading and numeracy, where the position of teacher is held in significantly higher esteem and newly qualified teachers can wait up to a decade to get a placement, such is the competition. The system is also peculiar for the amount of time that teachers are given to do research and develop their skills and lessons together. The outspoken head of Ofsted has hit out at teachers who complain their jobs are “too stressful” and make excuses for poor performance. Sir Michael Wilshaw suggested head teachers needed reminding what stress really was. Speaking at an education conference, he said heads were better paid and had more power than ever before. But the ATL teaching union said official figures demonstrated how stressful teaching can be. Sir Michael told a conference of independent school heads in East Sussex that in the past, poor teaching and poor performance had gone unchallenged. He went on: “We need to learn from this and challenge those who have power invested in them to make the difference, but too often make excuses for poor performance – it’s just too hard, the children are too difficult, the families are too unsupportive, this job is far too stressful. “Let me tell you what stress is. Stress is what my father felt, who struggled to find a job in the 1950s and 1960s and who often had to work long hours in three different jobs and at weekends to support a growing family. “Stress is, I’m sure, what many of the million-and-a-half unemployed young people today feel – unable to get a job because they’ve had a poor experience of school and lack the necessary skills and qualifications to find employment. “Stress is what I was under when I started as a head in 1985, in the context of widespread industrial action – teachers walking out of class at a moment’s notice; doing lunch duty on my own every day for three years because of colleagues who worked to rule; covering five classes in the sports hall when there was no-one to teach them. Sir Michael said that times had changed and that heads were now in charge, with better pay and more independence, power and resources than before. “We need heads who know what a privileged position they are in now and who can use their new-found independence well – people who roll up their sleeves and get on with improving their schools, even in the most difficult circumstances. Dr Mary Bousted, general secretary of the Association of Teachers and Lecturers, said Ofsted should concentrate on helping schools improve and stop criticising teachers and heads. “It is really not helpful for Michael Wilshaw to rubbish the amount of stress teachers are under. “The pressures on teaching staff and heads are enormous and growing due to the constant churn of government initiatives, tinkering with the curriculum, introducing new tests, and pressure to get pupils through exams to prove their school is performing well. “And Ofsted is part of the problem with its continual changing of the inspections goal posts, and ridiculous demands for lessons to be exciting at all times.